Nicolas builds agent-based models and tools for building agent-based models. He contributes to the development of the NetLogo platform and the NetLogo Models Library and is the author of many NetLogo extensions, notably the eXtraWidgets extension developed at CRESS as part of the TellMe project. During his time at CRESS, he has also with Corinna Elsenbroich on the Collective Reasoning as a Moral Point of View project. 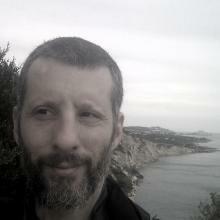 He is currently working on the PROTON project at the Laboratory for Agent-Based Social Simulation, in Rome. He will be moving to Oxford towards the end of 2018 to work on the POSEIDON project at the Complex Human-Environmental Systems Simulation Laboratory.